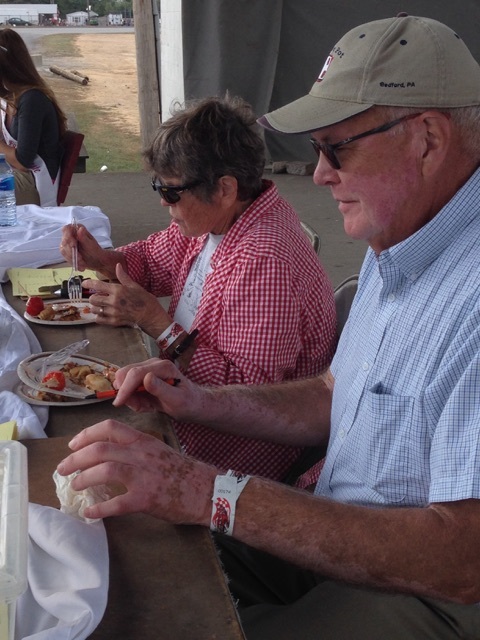 GRATZ, Pa. — The first ever statewide Mountain Pie Championship was held on Sept. 26, during the Gratz Fair in Gratz, Pa., just north of Harrisburg, Pa. The championship was open to winners at privately owned Pennsylvania campgrounds that held contests across the state this summer. 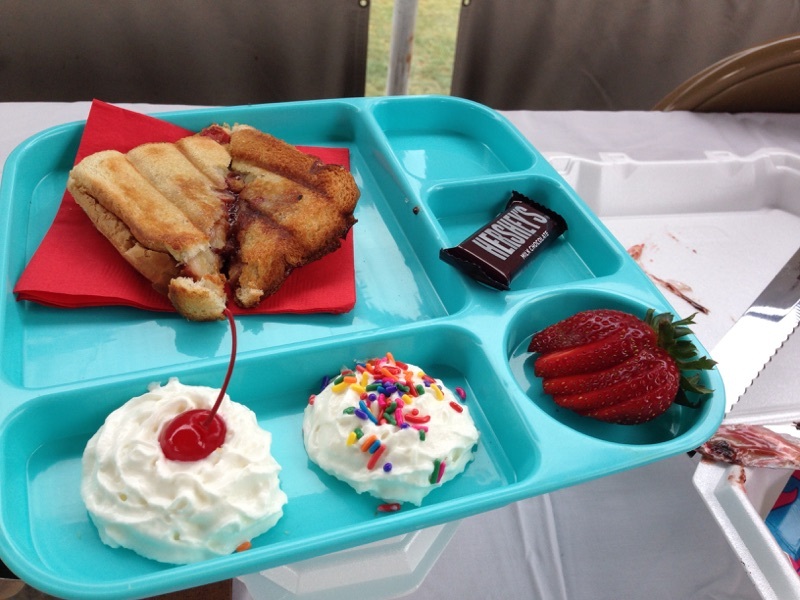 The two contests, “Sweet” and “Savory,” were sponsored by the Pennsylvania Campground Owners Association and Lerch RV from Milroy, Pa.
Second place was Braidyn Rumsey from Canton, Pa., representing Tanglewood Campground in Covington, Pa. His entry was called “Double Chocolate Delight” and featured a brownie and marshmallow cream garnished with cherry pie filling and peanut M&Ms. Close and place in campfire until bread is golden brown. 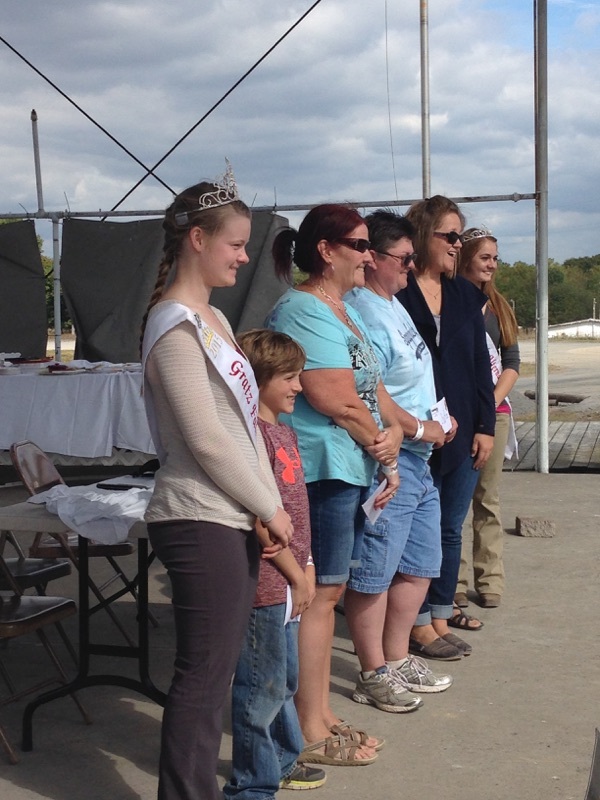 Second place was Rhonda Thomas from Preston, Md., representing Spring Gulch Camping Resort in New Holland, Pa. Her entry was a “Turkey/Bacon/Cheese Pie,” also featuring Thousand Island dressing. Third place was Holly Seidel from Tyrone, PA, representing Pioneer Campground in Muncy Valley, Pa. Her entry was “Pie Iron Tacos” with a corn tortilla base. The other three entries that were scrumptious, but did not place, were “Chicken Florentine, Pie Iron Style” by Steve Gallagher, Elmer, N.J., representing Keen Lake Camping & Cottage Resort in Waymart, Pa; “Sam’s Special Sammich,” a pork melt by Sam Ulrich from Pottsville, Pa., representing Rosemount Campground in Tamaqua, Pa; and “Alyssa’s Cheese Steak Pie,” by Charles Muller from Hammonton, N.J., representing Otter Lake Camp Resort in East Stroudsburg, Pa.
A panel of six qualified judges evaluated the entries based on the following categories: Flavor, Filling, Crust, Appearance and Creativity. Prizes were $500 cash for both first place winners, $100 in PCOA gift certificates for second place and a $50 gift certificate for third place. A total of 37 campgrounds scheduled contests at their facility during the season. The Pennsylvania Campground Owners Association extends a special thank you to Lerch RV for co-sponsoring the contest, the Gratz Fair for providing their facilities and fair passes for the individual campground winners and Dutter Sound Services from New Oxford, Pa., for providing the sound system and acting as the official fire tender. Apple Crisp the right way! This is the perfect time of year to take advantage of some of nature’s produce that is not as plentiful during the rest of the year. Among other things, this is apple season! Here at your central Pennsylvania RV dealership, we are always looking for new recipes to help you enjoy the seasons. It is in that spirit we have found this terrific Autumn recipe to share with our followers, a Campfire Apple Crisp recipe. It is perfect over a campfire but you can make it in a regular oven as well. It is very similar to grilling “potato packs” over an open fire, but with apples instead of potatoes. Directions: In a bowl, mix the dry ingredients with the butter until the butter is dispersed in the mixture. Then add the apples. Mix well. Then take three pieces of foil and add the ingredients to make three “pouches” that you will seal to go over the campfire. . squeeze the ends to make a boat shape. Put the apples in the center of the foil and fold the foil over to make sure you have nice, sealed foil packages. Put a grate over the campfire and cook the package for 15 to 20 minutes. If you have no access to a grate, put the foil pack directly into the campfire a bit farther away from the heat and rotate it every 5 minutes. Check to make sure the apples are cooking evenly about half way through. You can also use this recipe in your RV if the weather is not conducive to a fire by putting the ingredients in a casserole dish and putting it in the oven for about one hour at 350 degrees. This is a great tasting, great smelling desert dish that is perfect for the season. If you are looking for an easy recipe to take advantage of the abundance of apples this fall, this can be it. There are still some great fall RV weekends ahead. Safe travels and Happy RVing! Preparing food on the campfire is all about making do with what’s in the camping kit, and all you need for this dish is a sturdy cast-iron pan. We took the elements of the classic British Toad in the Hole and made a one-pot sausage-and-pancake meal. This Americanized breakfast version starts with an easy batter of cornmeal, flour, milk, and eggs that you can make at home and throw into the cooler. When you’re ready for breakfast, heat up the cast-iron pan over the campfire and brown some breakfast sausages. Then pour in the batter, drizzle with maple syrup, and let the whole thing cook up into one big sweet-savory pancake. Slice into wedges, and a hearty meal is served. Game plan: The batter can be made up to one (1) day ahead and stored in an airtight container in the refrigerator or in a cooler with ice. When you’re ready to use it, be sure to whisk the batter again to recombine everything. 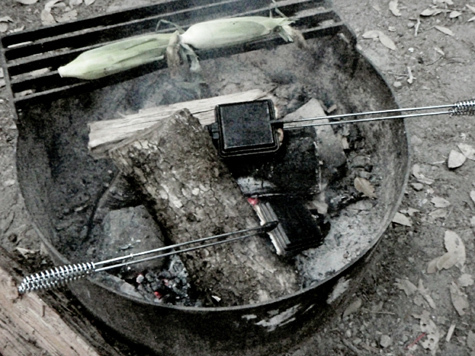 Heat a camping stove to medium (about 350°F to 450°F) or fit a campfire with a grilling grate. Place a large cast-iron skillet on the stove or grate and heat until a drop of water sizzles and immediately disappears on the surface, about 5 minutes. Add the butter and heat until foaming. Add the sausages and cook, turning occasionally, until browned all over and cooked through, about 12 to 15 minutes. Transfer the sausages to a large plate. Whisk the batter again to recombine, then pour it into the skillet in an even layer. Arrange the sausages on top of the batter in an even layer and drizzle the measured maple syrup over the surface of the batter and sausages. Cover tightly with aluminum foil and cook undisturbed until the batter is puffed, cooked through, and golden brown on the bottom, about 15 to 20 minutes. Cut into wedges and serve immediately, passing additional maple syrup on the side. Ahh, s’mores, who could deny a deliciously sweet, sticky, tasty treat while enjoy a campfire? We sure couldn’t! 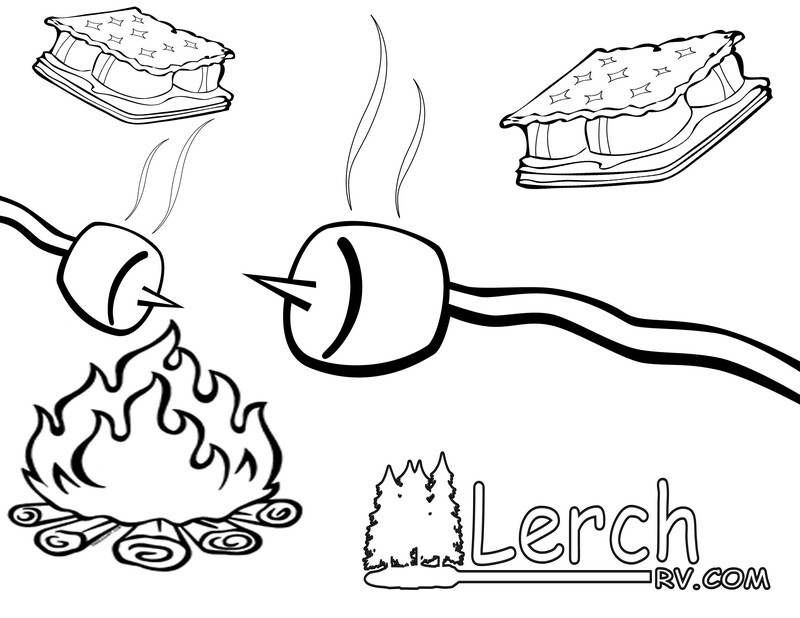 And while we love the traditional graham cracker, hershey’s bar and roasted marshmallow, we’re all about adventure so we polled some Lerch RV customers to discover their favorite ways to make ooey-gooey s’mores.